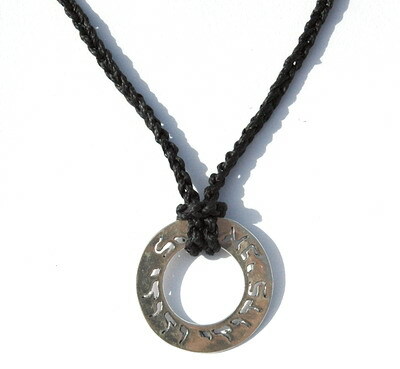 Declare your love as eternal as the stones of Jerusalem with this sterling silver round circle Ani L'dodi pendant. 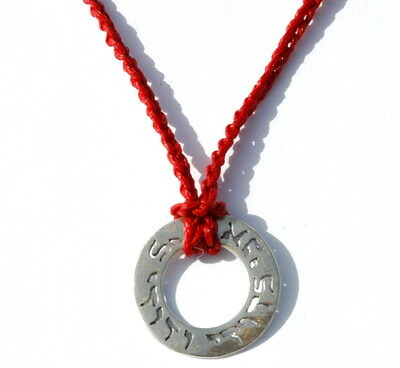 The round 925 sterling silver pendant, serve as a background for the cut-out Hebrew letters reading 'Ani L'Dodi V'Dodi Li' (I am to my beloved and my beloved is mine). The circle itself represents eternity and completion, so it is the ideal shape for a piece of jewelry bearing a message of love. This silver pendant necklace makes a wonderful engagement or anniversary present, and can be worn by either women or men. Emunah Jewelry designs and produces all the pieces in its collection in a studio on Moshav Shoeva in the foothills of Jerusalem. 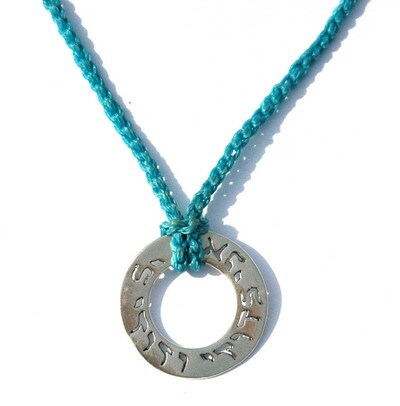 Emunah strives to create unique Israeli jewelry that features original design and fine craftsmanship.